On Feb. 26, 2014, the Chautauqua County Home in Dunkirk, NY was sold to VestaCare for a price of $16 million. MAYVILLE – The Chautauqua County Legislature has given its approval for the privatization of the county home in Dunkirk. 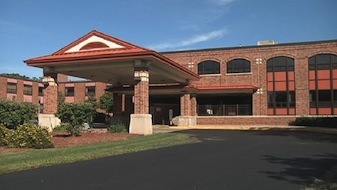 Lawmakers voted Wednesday to approve the sale of the 216-bed skilled nursing facility to VestraCare with a price tag of $16 Million. The final vote was 13 to 5, with all lawmakers representing the Dunkirk and Fredonia areas voting against the sale. Thirteen votes were needed for the sale to go through, with County Legislature Chairman Jay Gould absent due to illness. The successful vote comes only after three previous failed attempts in 2013 to sell the facility. The legislature spent 20 minutes discussing the sale prior to voting. Dunkirk Legislator Terry Niebel pleaded with his colleagues to hold off on selling, saying that the property was worth a lot more than the $16 million that was being offered. Niebel suggested that lawmakers take the time to due a new valuation of the property to have an up-to-date assessment, saying that in the meantime, the county home could still operate for another two years without any additional taxpayer money. Despite Niebel’s reasoning, Jamestown legislator Fred Larson explained that the sale of the county home would be inevitable and, considering the current offer from VestraCare would expire at the end of this month, failure to act now means the county would only be flushing money down the drain. Prior to the vote, the legislature spent nearly 45 minutes listening to comments from the 14 members of the public, which were overwhelmingly against selling the facility. Among those who spoke was Jamestown resident and former legislator Timothy Hoyer, who said that the county home provides a safety net for many senior residents who have no where else to go and that by selling the home, the county would be turning its back on those who are most in need of help.